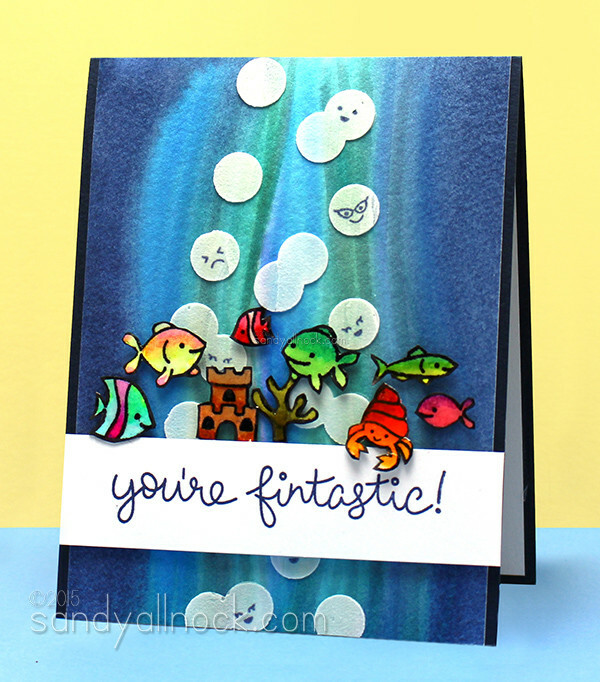 I went through Jenn’s Pinterest (easier than looking through a blog and scrolling page after page) – and I saw her fishy card HERE. I had been looking for the perfect opportunity to use my new Lawn Fawn fishies – and this was it! I decided to see what happened when working larger than an image, coloring an entire background on this paper. And I compared it to Distress Markers too, so I hope that helps those who haven’t liked the “texture” they get with the Zig pens – this shows a good side-by-side. Watch the video below, or click HERE to see it in HD on YouTube. The Distress Marker version was an interesting test – when I started it in the video, I had NO idea what was coming. Had I left it with just the marker, I might have gotten it to work if I kept scrubbing at it with the brush. But once I swiped on a little ink from a pad – bam! I loved it. And the side by side – I think I like parts of both. The Zig color is really fun and intense, and I like some of that drybrush look. The transparency on the Texture Paste is fab! But after adding the fish, I think I have to love the Distress version better, since the colors are more muted….it’s a little less of a bombardment of the eye that the Zig version finished out to be. But I think both work GREAT in different ways – now it’s a matter of figuring out when to use which one! 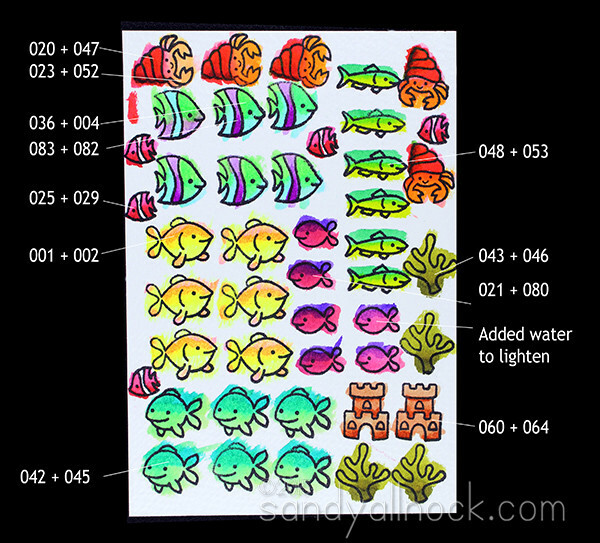 I promised you the colors for the fishies…here you go! My apologies for not getting the winner listed in the post yesterday – eeep! Travel really did a number on me, I can’t even remember what day it is anymore! But at least I know I’m home, so I can remember what state I’m in now. LOL. Anyway – the winner of the Inktense Pencils is Mendi….email me your address and I’ll get them packed up to send out! WOW – I am so glad you shared this and I think you are a master colorist!! Thanks for sharing so many tips with us!! 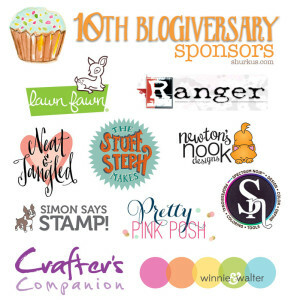 I found this post through Jenn SHurkus’s 10 year blogiversary celebration and I am so glad!! I am happy that I got to see this wonderful and helpful post -YOUR CARD IS AMAZING!!! Have a happy day!! Oh WoW… Sooo gorgeous and fun!! Holy cow, what a jaw dropper! So happy to have just purchased some Zig pens. You totally captured Jenn’s original card. Love it! What a MAGNIFICENT card ! You do such a fabulous job inspiring me. I love the way the “Light” dives deep into your ocean!! beautiful affect! 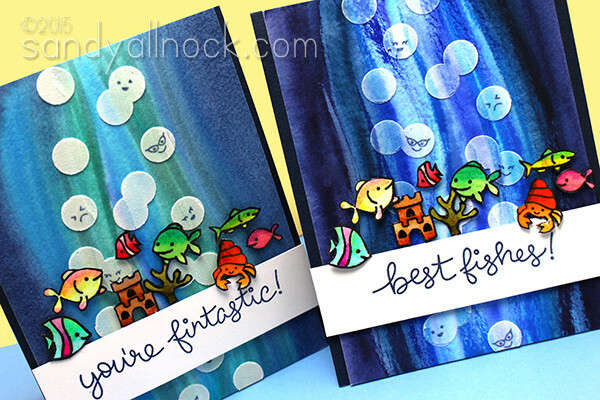 I think that both backgrounds are lovely; thank you for sharing the results! Happy 10. I’ll be married 10 in August. We both have something to celebrate. I loved both color wash techniques — good reference and information. thanks for taking the time to show the differences. Thanks for the video. Love the backgrounds! Loved the comparison. I like watercoloring with the distress reindeers. You might want to try it. I learn so much from your videos. wow..what a difference…I’m not sure which i like more though…i see the Zig and with the litttle sandcastle at the bottom i think the cold depths of the sea and think of our cold Pacific Water Current(of course it could be in a shallow bay in the Virgin Island too) and those dark blues are perfect…to each her own ..and love that you did both!! 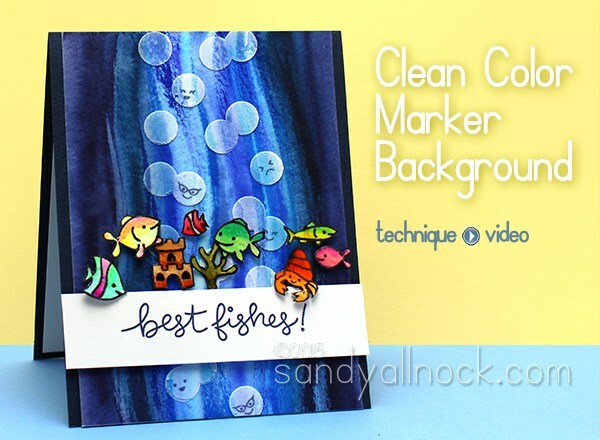 Thanks for such a fabulous video…I like the distressed inked one the best too! Both are very nice cards and I loved your video. Love the comparison. I have both so it’s good to know what results I can expect with each of them. Very interesting to see what you did and the outcome. Thank you for all your work. Thank you again for the chart of all the colors you used. As usual…I enjoy your vids! love love love 🙂 thank you so much for being part of my Blogiversary Celebration!! 🙂 I just love your CASE’d card! and as always I have learned new things from your post- you are full of so much information!! 🙂 thank you for sharing that with us!! beautiful card! coloring fantastic as always! Very interesting to see the final outcome from the different mediums used. I think I like one over the other until I look closely at each again. They are each beautiful in their own way. Thanks for doing these comparisons. I have this stamp set waiting in my cart to purchase tomorrow!!!! I already had quite a few cards planned for it but now I’ll need to add this to the list, but in Copics. Thanks for continuing to showcase such awesome cards and techniques! Thank you so much for the comparison! I love that you test everything out. It really makes me think before impulse shopping and my pocket book thanks you! Your cards turned out great! Love the colors and texture.